Television personality Anthony Bourdain has confirmed he's in Newfoundland, after days of rumours that he was in the province filming for his CNN show. Chef, author and television personality Anthony Bourdain has confirmed he is in Newfoundland, after days of rumours that he was in the province filming for the travel and food show he hosts on CNN. Bourdain posted on Instagram Wednesday morning, showing a black and white photo of himself sitting in a chair on a rocky beach with the hashtag #newfoundland. An hour later he shared a video, showing an elaborate dinner setup on a beach Tuesday night that would put most camping trips to shame. 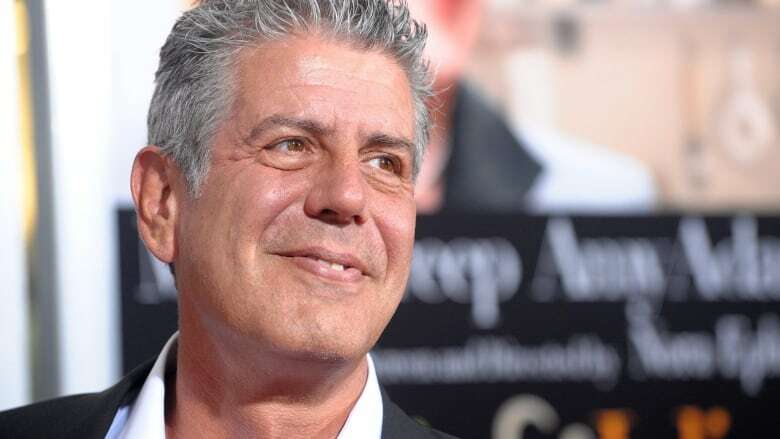 Last week, Noreen Golfman, Memorial University's provost and academic vice-president, tweeted that Bourdain would be going on a hunting trip in the province, guided by the owners of Raymonds Restaurant in St. John's. Word's out. <a href="https://twitter.com/Bourdain">@Bourdain</a> will be walking our streets next week, hunting our woods. Bless you <a href="https://twitter.com/Raymondsnl">@Raymondsnl</a> for making a girl's dream come true. Bourdain is a world-renowned chef who has written more than a dozen fiction and nonfiction books and hosted several culinary shows. He currently hosts CNN's Anthony Bourdain: Parts Unknown, a U.S. travel and food show that launched in 2013 and has won five Emmy Awards. The show features the cuisine, culture and politics of various regions around the world. Bourdain clearly has his fans in Canada's most eastern province, as dozens took to social media to welcome the American TV host to the island. ❤️🇨🇦❤️🇨🇦❤️ WELCOME WELCOME WELCOME TO CANADA ANTHONY❤️🇨🇦❤️🇨🇦❤️ It's wonderful to have you in Canada! 😁☺️😁☺️ cyber hugs!